For even the most seasoned attorneys, defending DUI cases has always presented special challenges. Today due to legislative developments, the introduction of incredibly sophisticated blood alcohol-testing technologies, and an increasingly harsh prosecutorial climate mounting a successful defense is more difficult than ever. The new Eighth Edition of Drunk Driving Defense is updated to reflect recent developments which includes a new section on Sentencing of Non-Citizens; detailed information about the SCRAM® (Secure Continuous Remote Alcohol Monitor) device; updated state-by-state listing of DMV contacts; and expanded discussions on the offense of DUI by marijuana, the source code issue in breath testing devices, and how recent U.S. Supreme Court cases impact the admissibility of chemical test evidence in a DUI case. Drunk Driving Defense provides hard-hitting tactics every step of the way, from the administrative license suspension hearing, to the pretrial investigation, to cross-examination of police and expert witnesses, and finally to the jury summation itself. You ll be fully briefed on the statutory and case law, evidentiary issues and procedures applied in federal and state courts nationwide. In 1917 a bomb exploded in a Milwaukee police station, killing nine officers and a civilian. Those responsible never were apprehended, but police, press, and public all assumed that the perpetrators were Italian. Days later, eleven alleged Italian anarchists went to trial on unrelated charges involving a fracas that had occurred two months before. Against the backdrop of World War I, and amidst a prevailing hatred and fear of radical immigrants, the Italians had an unfair trial. The specter of the larger, uncharged crime of the bombing haunted the proceedings and assured convictions of all eleven. Although Clarence Darrow led an appeal that gained freedom for most of the convicted, the celebrated lawyer's methods themselves were deeply suspect. The entire case left a dark, if hidden, stain on American justice. Largely overlooked for almost a century, the compelling story of this case emerges vividly in this meticulously researched book by Dean A. Strang. In its focus on a moment when patriotism, nativism, and terror swept the nation, Worse than the Devil exposes broad concerns that persist even today as the United States continues to struggle with administering criminal justice to newcomers and outsiders. For even the most seasoned attorney admitted to practice in the State of Wisconsin, defending OWI cases has always presented special challenges. Today mounting a successful defense is more difficult than ever. Now you have the advantage with Wisconsin OWI Defense: The Law and Practice. This text and supplementary DVD contains the most important information to help you attain a successful verdict. Written by Andrew Mishlove and James Nesci, both members of the National College for DUI Defense,Wisconsin OWI Defense: The Law and Practice ensures that you understand the chemical, biological and technological concepts and issues underlying OWI prosecution and defense in the State of Wisconsin. The authors provide the most up-to-date information available on key areas of OWI law in Wisconsin including: OWI Investigations, Driving and Field Sobriety Testing, Drug Recognition, Evaluation and Chemical Testing, Blood Alcohol Calculations, Pre-trial Investigations and Motions, Practice, Plea Offers and Agreements, OWI Trial Procedures, and more. Many practical tools and applications designed to streamline and simplify the complex OWI defense process have been developed along with this book. They are all included on a bonus DVD--so you can locate, review and print them out in a matter of seconds. The companion DVD contains NHTSA studies, articles and visual detection videos. Mackenzie Allen Phillips's youngest daughter, Missy, has been abducted during a family vacation, and evidence that she may have been brutally murdered is found in an abandoned shack deep in the Oregon wilderness. Four years later, in this midst of his great sadness, Mack receives a suspicious note inviting him back to that shack for a weekend. Against his better judgment he arrives at the shack on wintry afternoon and walks back into his darkest nightmare. What he finds there will change his life forever. An excellent book for everyone, especially those going through painful or difficult times. Two thumbs up!! Trauma and loss are unfortunately universal, and finding answers to the questions of pain and suffering are a challenge. THE SHACK STUDY GUIDE includes excerpts from The Shack with questions for reflection and instructions to lead readers through a healing process. The goal, like the theme of The Shack, is to usher readers to a real, lasting healing. Past criminal record stopping you? When your past criminal record is affecting your life and preventing you from achieving your goals, it is time to take action - it is time to seek an Expungement. Under Wisconsin law, some Expungements are mandatory. Have you met the conditions during sentencing? Can an OWI DUI be Expunged? Got an OWI? 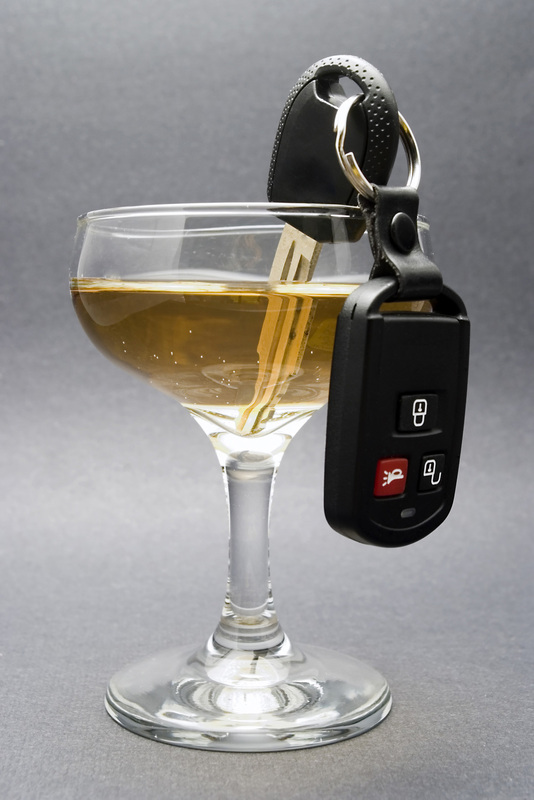 You will want to talk with a DUI defense attorney. Already convicted of drunk driving? Wondering about Expungement of a DUI conviction? Do I need an Expungement lawyer? In some cases, Expungement Attorneys, Criminal Defense Lawyers or OWI DUI Attorneys are needed, while in other cases, an appellate attorney is needed to reopen the case or pursue an appeal of a prior criminal conviction. Potential Employer Reads Criminal Record? Can a potential employer see your criminal record? What about your fellow workers? Who can read your criminal file? Are juvenile criminal records automatically sealed when the juvenile turns 18? Does that Expunge them? What if the case is tried in adult court rather than juvenile court? What is erased? See If Expunged. Erasing a criminal record, called 'Expungement' or 'Expunction' results in removing information from public view, such as on CCAP, also called sealing a criminal record. See also Expungement process. Expungement or Dismissal? When can you get the charges dismissed? If you were previously convicted of a crime and seek to have your criminal record expunged, please contact a Wisconsin Expungement Attorney for legal advice. As with any legal matter, there are many factors that must be considered before a single "yes" or "no" response can be given by your lawyer to the question of whether you can get your criminal record expunged. For sound legal advice about your criminal record, please contact an attorney. If you (or someone you care about) have been charged with a criminal offense, but the case has not yet been adjudicated, it is very wise to contact a criminal defense attorney as soon as possible. Laws governing drunk driving are complex. They involve operating a motor vehicle while impaired, intoxicated or under the influence of alcohol, a drug or other agent that impairs one's ability to drive safely. If you have been arrested for an OWI, DUI or DWI, please refer to OWI-DUI.com. Appeals ask a higher court to review a low court's application of law to a case, procedure, ruling or decision. A criminal appeal in Wisconsin is a legal process through which a convicted person asks the Wisconsin Court of Appeals or the Wisconsin Supreme Court to review a lower court's verdict, sentence or both. Wisconsin law protects a convicted person's right to appeal. See Wisconsin Criminal Appeals or Wisconsin Criminal Appeals Attorneys. Wisconsin Municipal Courts typically hear cases involving first-offense OWI DUI, traffic, parking, ordinance violations, juvenile matters, underage drinking, and curfew violations. Wisconsin Circuit Courts are trial courts divided into branches. Most counties have one branch, some share judges. Most criminal cases, 2nd and more serious drunken driving cases and civil suits are heard in Circuit Courts. CCAP is the public access to criminal, civil and other Court records. Wisconsin Courts of Appeals are intermediate Courts to which cases are appealed. Criminal cases can be appealed by the Defendant or the District Attorney's office. The Appellate Courts are located in Milwaukee, Madison, Waukesha and Wausau. The Wisconsin Supreme Court is the highest Court in the state. The Supreme Court has jurisdiction over appeals from lower Courts and other matters, as well as regulating and adminstrating the practice of law in Wisconsin. Adults and some minors' cases are heard in adult courts in the State of Wisconsin. Juveniles who are tried for criminal offenses have their cases heard in Juvenile Court unless they are waived into adult court. MarketingTheLegal.com Copyright © 2018-2019. All rights reserved.